The Monaco was the name given to the two seat Sports cars built by the Cooper Car Company in the fifties and sixties. 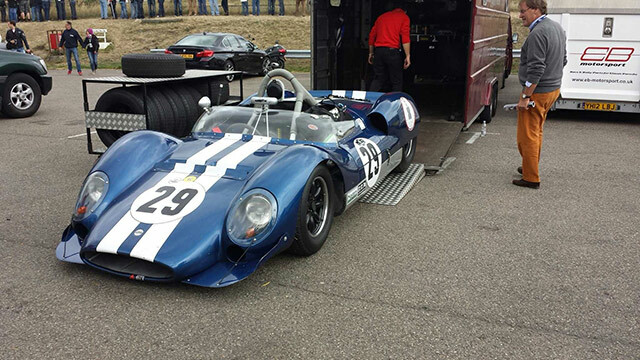 This particular example was delivered without an engine to Carroll Shelby in California. Shelby, the builder of the renowned AC Cobra, fitted the Cooper with the Ford V8 used in the Cobra and the Mustang. The engine capacity is 289 cubic inches or 4,600cc. It produces 450 brake horsepower. The car is built around a tubular spaceframe chassis, all round disk brakes, four speed gearbox and aluminium bodywork. Weighing 800 kilos the car has been clocked at 161 mph whilst racing recently at Goodwood. 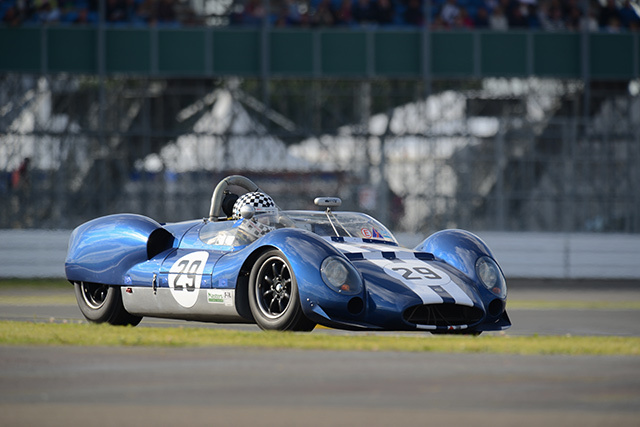 This car won the FiA Historic Sportscar Championship in 2016. The Cooper Car Company was founded in December 1947 by Charles Cooper and his son John Cooper. Together with John’s boyhood friend, Eric Brandon, they began by building racing cars in Charles’s small garage in Surbiton, Surrey, England, in 1946. Through the 1950s and early 1960s they reached motor racing’s highest levels as their rear-engined, single-seat cars altered the face of Formula One and the Indianapolis 500, and their Mini Cooper dominated rally racing. Due in part to Cooper’s legacy, Britain remains the home of a thriving racing industry, and the Cooper name lives on in the Cooper versions of the Mini production cars that are still built in England, but are now owned and marketed by BMW. The first cars built by the Coopers were single-seat 500-cc Formula Three racing cars driven by John Cooper and Eric Brandon, and powered by a JAP motorcycle engine. Since materials were in short supply immediately after World War II, the prototypes were constructed by joining two old Fiat Topolino front-ends together. According to John Cooper, the stroke of genius that would make the Coopers an automotive legend—the location of the engine behind the driver—was merely a practical matter at the time. Because the car was powered by a motorcycle engine, they believed it was more convenient to have the engine in the back, driving a chain. In fact there was nothing new about ‘mid’ engined racing cars but there is no doubt Coopers led the way in popularizing what was to become the dominant arrangement for racing cars. Called the Cooper 500, this car’s success in hillclimbs and on track, including Eric winning the 500 race at one of the first postwar meetings at Gransden Lodge Airfield, quickly created demand from other drivers (including, over the years, Stirling Moss, Peter Collins, Jim Russell, Ivor Bueb, Ken Tyrrell, and Bernie Ecclestone) and led to the establishment of the Cooper Car Company to build more. 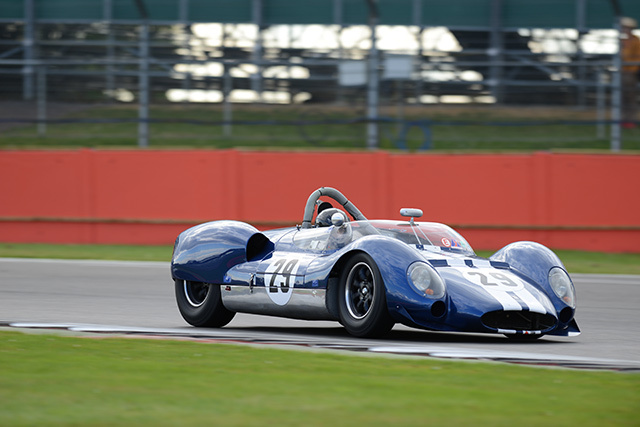 The business grew by providing an inexpensive entry to motorsport for seemingly every aspiring young British driver, and the company became the world’s first and largest postwar, specialist manufacturer of racing cars for sale to privateers. 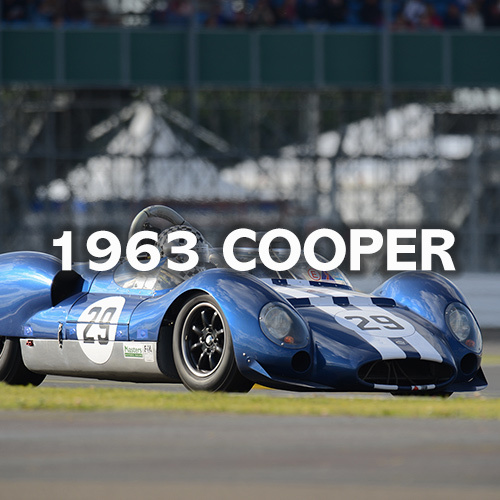 Cooper built up to 300 single-and twin-cylinder cars during the 1940s and 1950s, and dominated the F3 category, winning 64 of 78 major races between 1951 and 1954. This volume of construction was unique and enabled the company to grow into the senior categories; With a modified Cooper 500 chassis, a T12 model, Cooper had its first taste of top-tier racing when Harry Schell qualified for the 1950 Monaco Grand Prix. Though Schell retired in the first lap, this marked the first appearance of a rear-engined racer at a Grand Prix event since the end of WWII. The front-engined Formula Two Cooper Bristol model was introduced in 1952. Various iterations of this design were driven by a number of legendary drivers – among them Juan Manuel Fangio and Mike Hawthorn – and furthered the company’s growing reputation by appearing in Grand Prix races, which at the time were run to F2 regulations. Until the company began building rear-engined sports cars in 1955, they really had not become aware of the benefits of having the engine behind the driver. Based on the 500-cc cars and powered by a modified Coventry Climax fire-pump engine, these cars were called “Bobtails”. With the center of gravity closer to the middle of the car, they found it was less liable to spins and much more effective at putting the power down to the road, so they decided to build a single-seater version and began entering it in Formula 2 races.